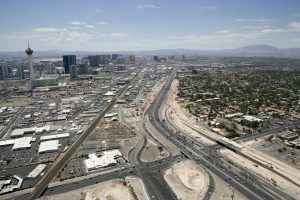 Project NEON | PK Electrical, Inc.
Project NEON is an almost $1 billion project that is extremely important for Las Vegas. It “is the largest public works project in Nevada history” and has been in progress since December 2015 (NDOT). 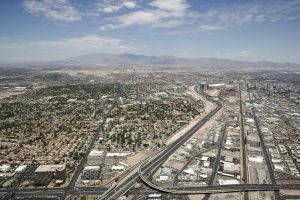 This project affects the “Spaghetti Bowl” and surrounding freeway areas, which are some of the most congested roadways in Las Vegas. 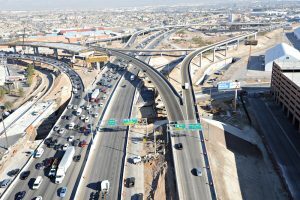 According to NDOT, on any given day there are approximately 300,000 vehicles passing through this stretch and that number is projected to double by 2035. 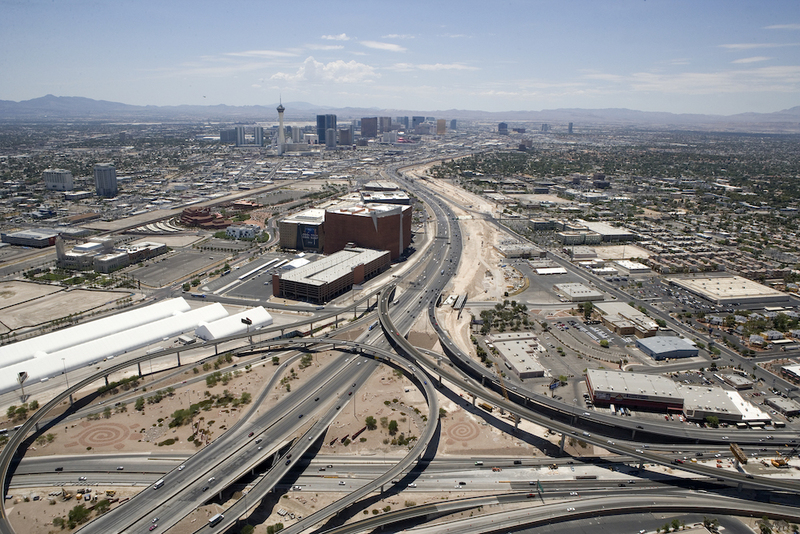 Project NEON will be alleviating the heavy traffic flow that Las Vegas is currently suffering from and will be a preventative measure for future traffic in the area. 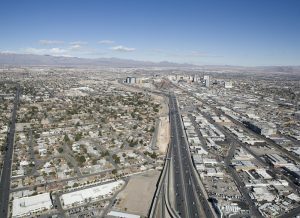 Project NEON will connect the High Occupancy Vehicle (HOV) or carpool lanes on U.S. Highway 95 to the I-15 express lanes with a flyover bridge while creating direct access carpool ramps and a new interchange called the “Neon Gateway.” Other planned upgrades include reconstructing the Charleston Boulevard interchange, extending Grand Central Parkway over the Union Pacific Railroad tracks as well as connecting to Industrial Road for improved downtown Las Vegas access and mobility. 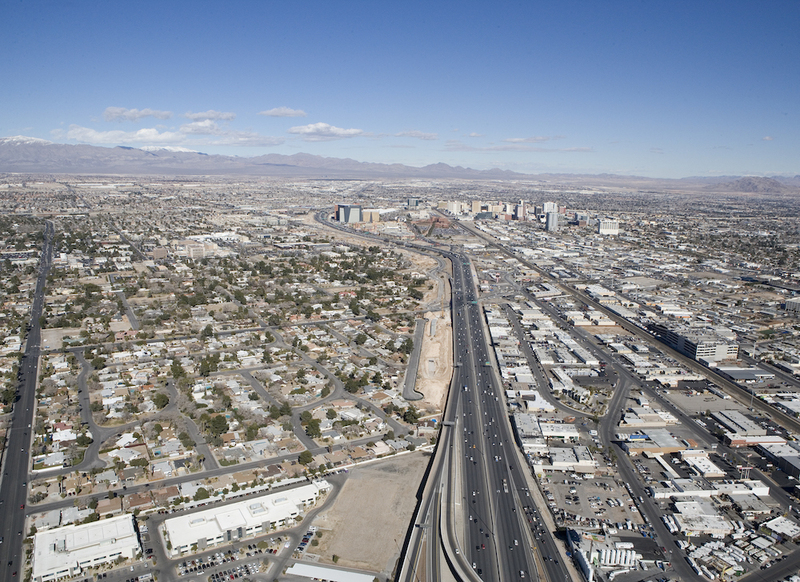 Some of the benefits of this project include improved safety, reduced congestion, reduced travel delays, improved air quality, improved freeway operations, reduced weaving, new surface street connections and better access to downtown Las Vegas (NDOT). 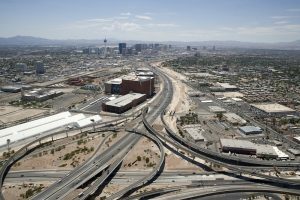 Once the construction for this project is completed, commuters in Las Vegas will experience drastic changes in their travel speeds. If someone is going northbound on the I-15 during peak hours they will be traveling at approximately 60 miles per hour as opposed to the current 28 miles per hour. 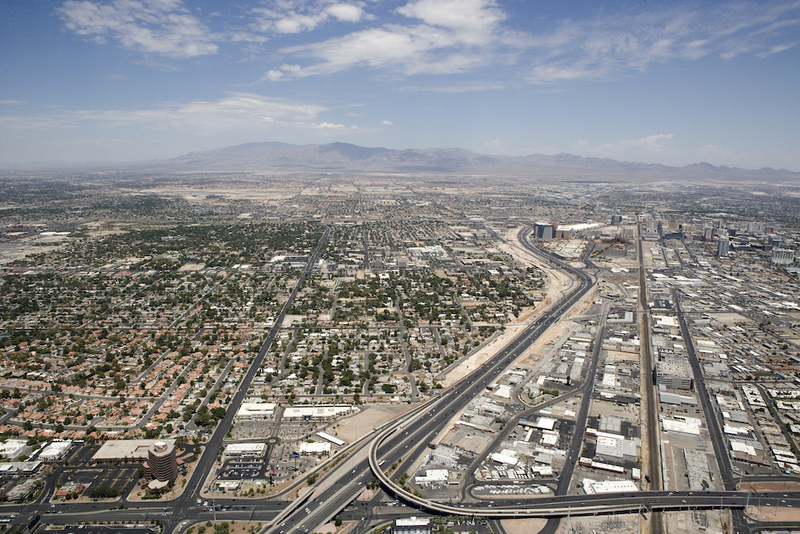 Going southbound on the US 95 to I-15 the average speed will be approximately 56 miles per hour as opposed to 18 miles per hour. These speed changes will positively affect people’s commute during the morning and afternoon rush hours (NDOT). As sub-consultants to Atkins Global and Kiewit, PK Electrical has provided the lighting and power designs for this design-build project covering 3.7 miles of interstate and 17 miles of local road improvements. There are aesthetic and landscape upgrades, intelligent messaging signs and improved drainage. Specifically, PK Electrical provided a complete lighting and power design for all new construction areas. Included in the design were 52 new digital message signs and over 750 light fixtures. The new lighting design includes all new LED lighting. These installments will improve lighting levels, contrast, quality, and longevity while meeting driver expectations and improving maintenance operations. During the design phase of this project, a BIM Execution Plan was implemented and a managed workspace was incorporated in ProjectWise. These plans allowed all disciplines working on this project to create plan sheets that looked similar despite being created in different locations; there was a total of 5,000 plan sheets. The utilization of MicroStation clash detection tools was also used for this project. These tools enabled project teams to mitigate 5,000 potential clashes between new and existing facilities. Because of the detection tools, countless hours were saved for both the design team and contractor. Lead drafting meetings were held weekly in order to solve any inconsistencies found in regards to project standards. The schedule for this project was extremely tight. Taking the tight schedule into account along with the combination of a large number of moving parts made for some difficulty in design. In order to alleviate the difficulties, the PK Electrical team participated in a lot of coordination amongst all disciplines working on this project. As time went on the project became smoother because of the efforts from the team. PK Electrical employees believe that because of this project there is increased comfortability and preparedness for working on projects of similar nature as well as other large roadway projects. 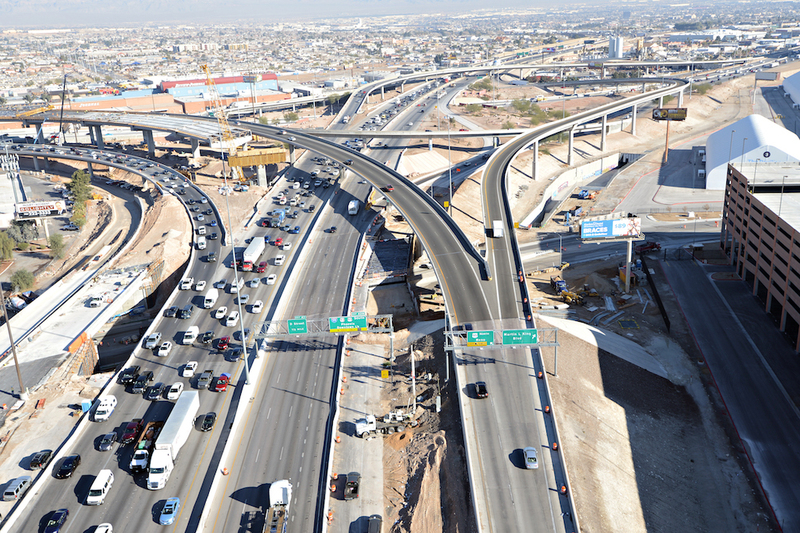 Current NDOT projects are being performed with more ease. Comfortability and familiarity with the other teams working on this project have also increased. This project is anticipated to be complete in Summer 2019. Check out the Project NEON website for more information on updated timelines as well as alternate routes and road closures. PK Electrical, Inc. is an electrical engineering firm located in Reno, NV and Denver, CO. For more information about our Reno and Denver electrical engineering offices, or if you are interested in learning more about PK Electrical and their contributions to other projects, check out our website.